PureStorage specializes in providing all-flash array storage systems, with backup and mobility made available by CloudAssist, its cloud storage solution. Primarily, PureStorage is ideal for enterprise-level businesses that need a combination of performance, accessibility, and hassle-free support. 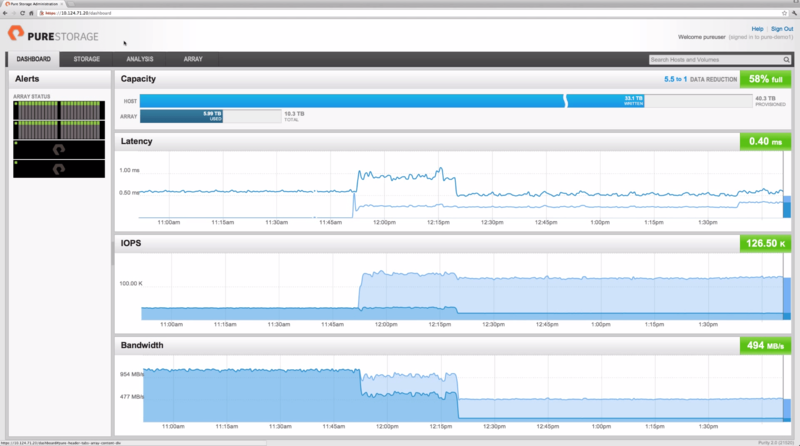 CloudAssist provides companies with real-time monitoring, analytics, and a resolution center. 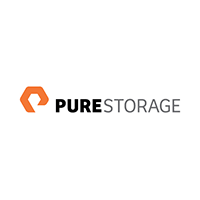 PureStorage appeals to companies that seek low maintenance, cost-effective storage solutions. The company offers all-flash array storage systems and a user-friendly support interface called CloudAssist. With PureStorage, businesses are able to effectively reduce data through deduplication, compression, and provisioning. PureStorage’s all-flash array systems allow virtualization of multiple workloads which increases efficiency and ensures consistent performance. Additionally, PureStorage’s systems provide limitless snapshots, high resilience to hardware failures, and a user-friendly management console. With the addition of CloudAssist, PureStorage has increased the efficiency and support available for all-flash array storage systems. CloudAssist runs continual analysis of the flash array’s functioning while alerting administrators to issues and deploying remote assistant technology. PureStorage is a unique storage solution that takes advantage of the speed, performance and reliability of flash. One of PureStorage’s satisfied customers, Mattersight, needed a scalable way to analyze millions of online interactions, multiple terabytes of data, and improve overall application functioning. As a result of working with PureStorage, Mattersight was able to decrease the time needed for analytics from 24 hours to 2.5 hours, experience data reduction at a rate of 9-to-1, and offload 70 percent of its I/O load from legacy storage. Learn everything you need to know about PureStorage. Our experts will reach out to you shortly.